What does the future hold? Will you reach the heights to which you aspire? Will you be happy? The answers to life’s big questions rarely reveal themselves in a burst of clarity. Instead, they merely offer glimpses that slowly gain focus with time. And that is because life is an evolution. So, what if you could live it in a space that is equally evolved? 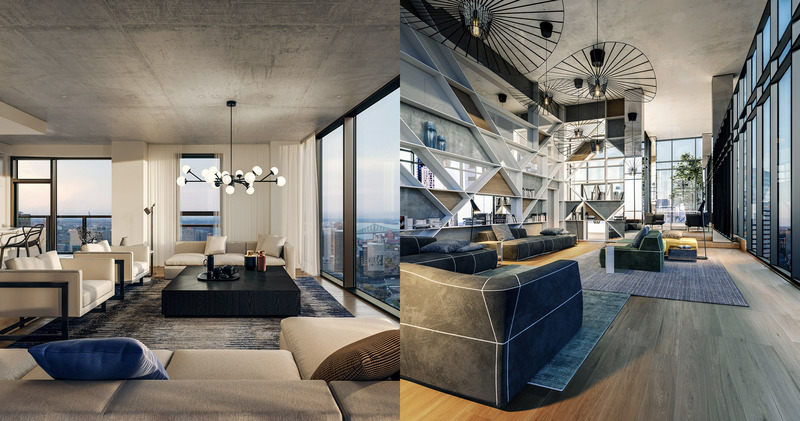 This is what the designers of Humaniti Montreal have envisioned. 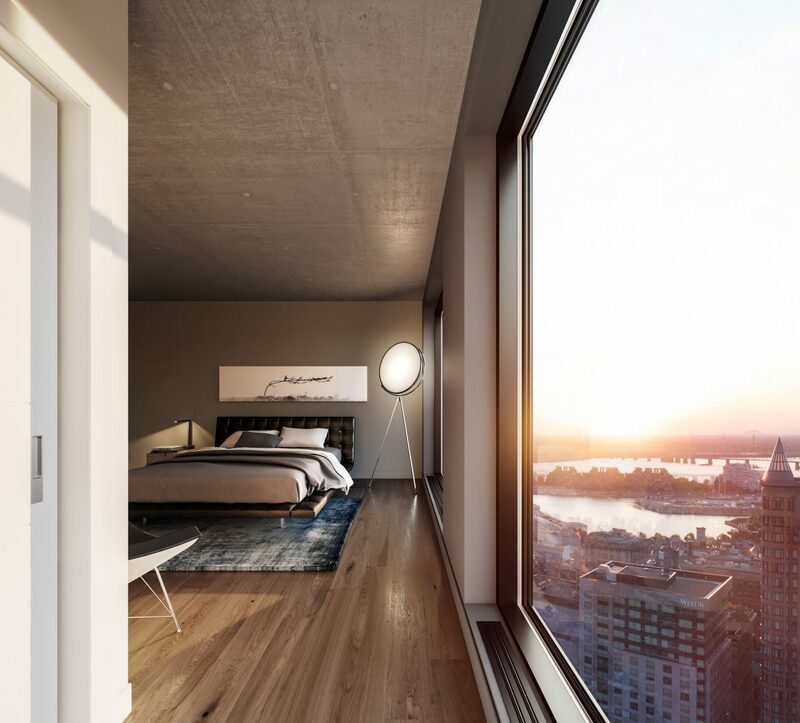 The mixed condominium, hotel, rental apartment and office complex is currently under construction in Montreal’s downtown Quartier International. 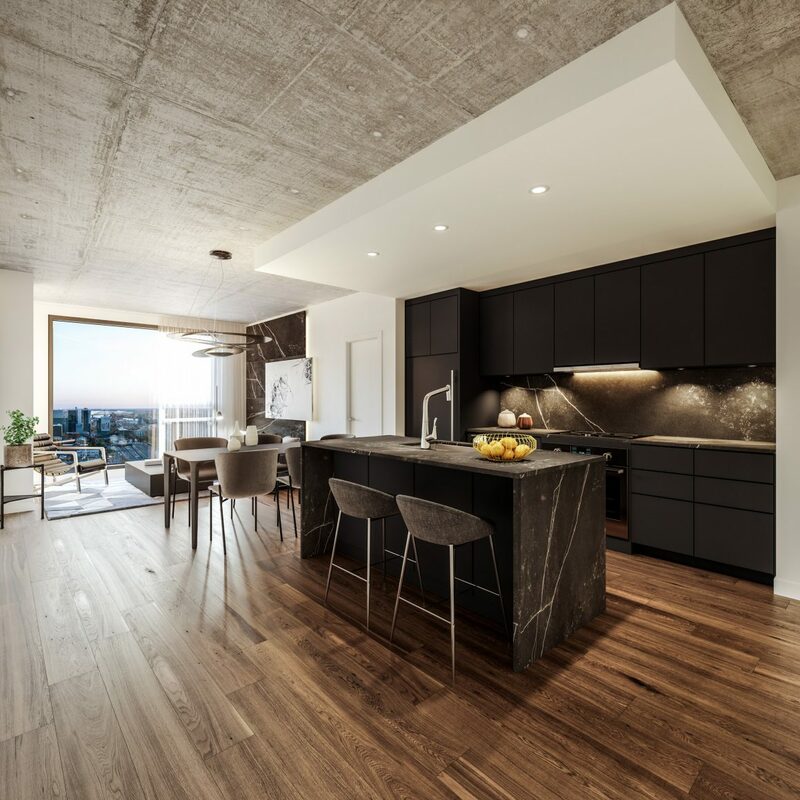 Fronting Viger Avenue at the corner of de Bleury Street in the heart of the city’s downtown core, facing Parc Jean-Paul Riopelle, the complex promises to be an iconic architectural addition to the metropolitan skyline. 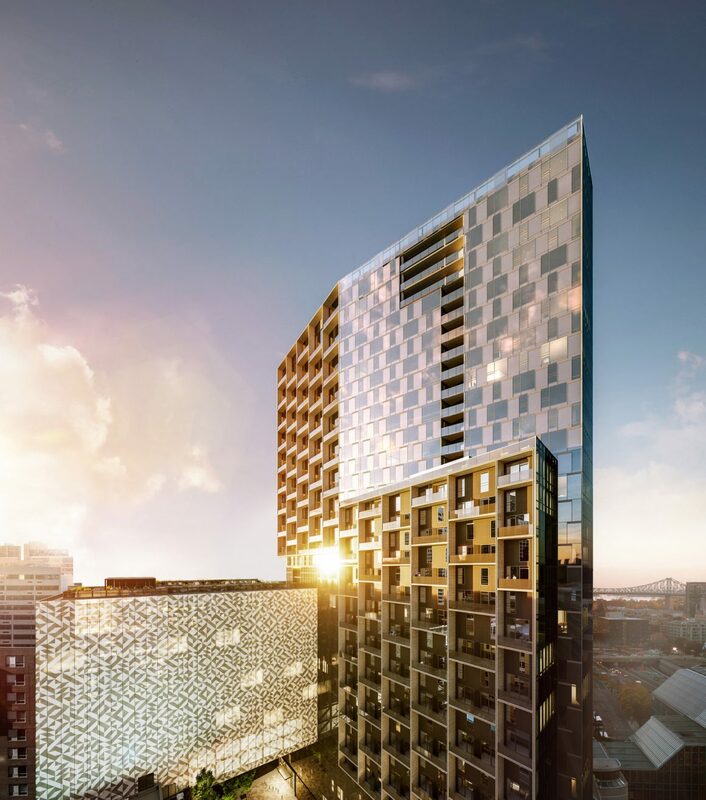 “It’s basically a place where you live, where the building and its components make your life much more effective than a regular residential complex,” explains Mathieu Duguay, president of Cogir Real Estate, the developer behind the project. 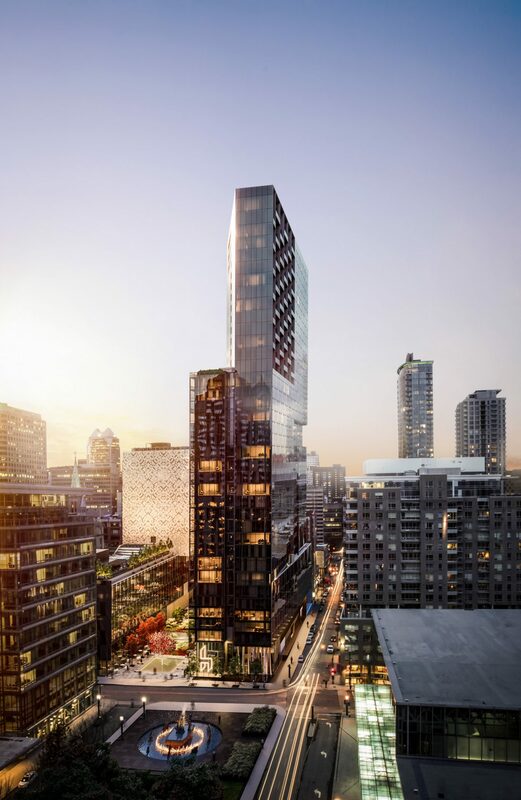 The structure has been designed in the shape of a small ‘h,’ with its tallest tower stretching up 39 storeys, with 160 condo units located in the top 14 floors. 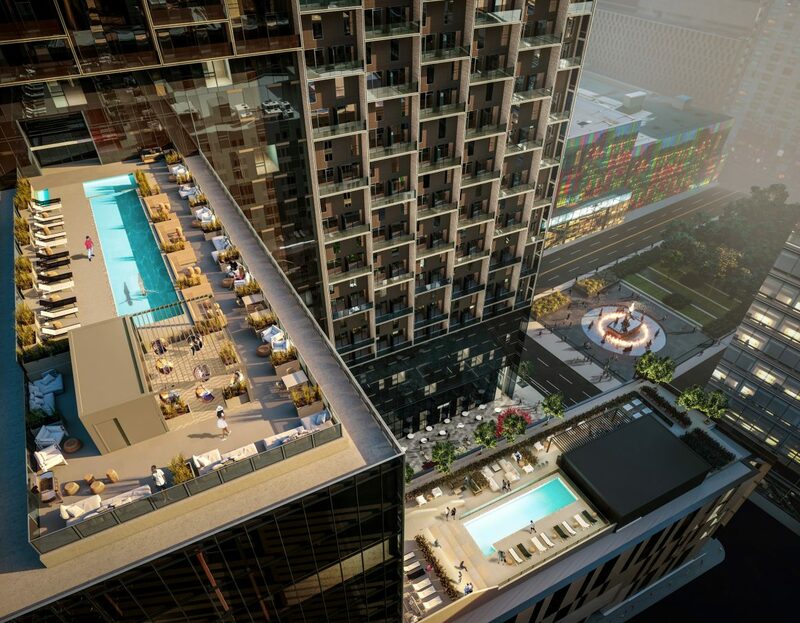 A total of 200 hotel rooms will be on floors eight through 20, office suites will be available in the horizontal section that connects the two vertical towers and 315 apartment rentals will be found on floors one through 25. Every resident of the complex will have access to shared amenities and common areas, he says. 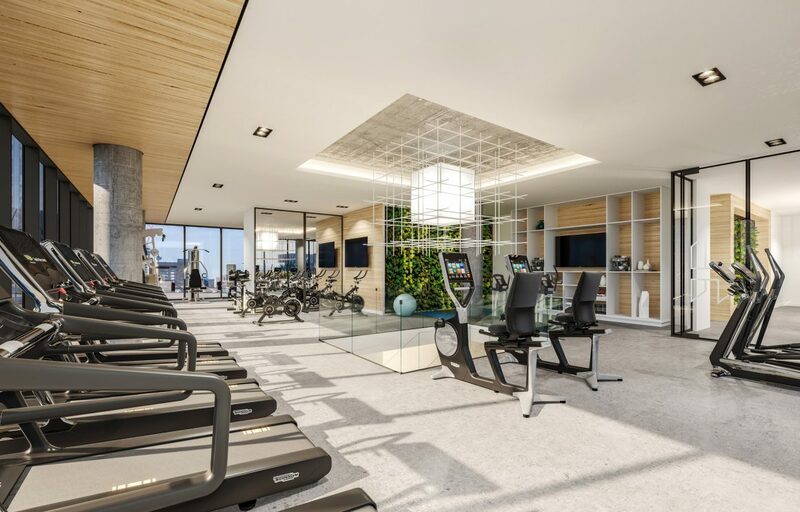 This includes concierge services; access to a spa; three restaurants, including two rooftop terraces; a massive 4,000-square-foot gym on two storeys that offers cardio machines, weights, and classes such as yoga; an urban chalet, where users can host a private dinner party; bicycle sharing and a car-sharing service, featuring electric cars. 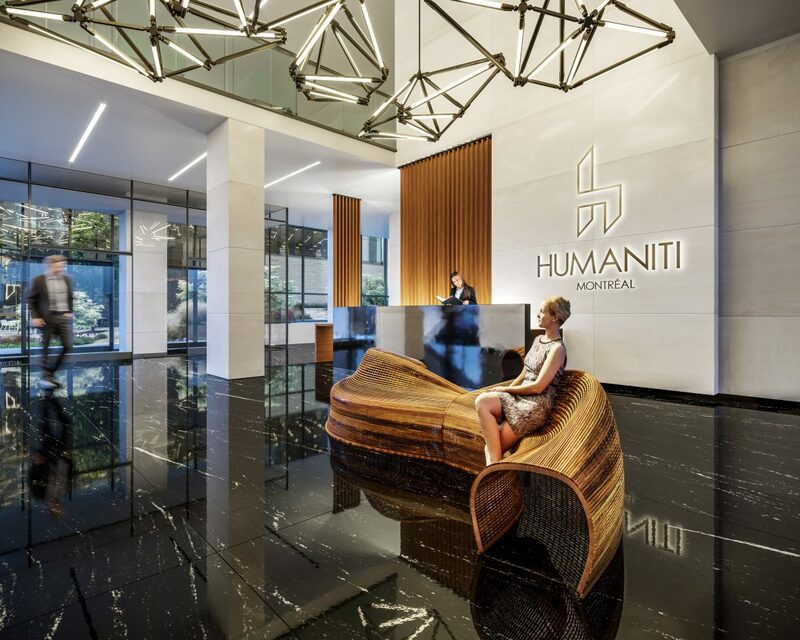 Residents will also have access to the Humaniti app to make reservations, check service availabilities, and stay connected and interact with other residents. 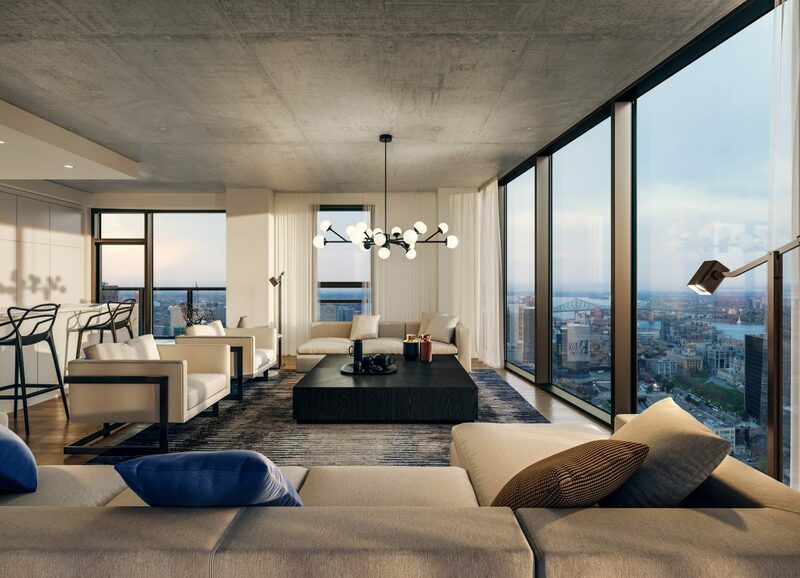 Humaniti Montreal will also be the first WELL-certified residential complex in Canada, he adds. 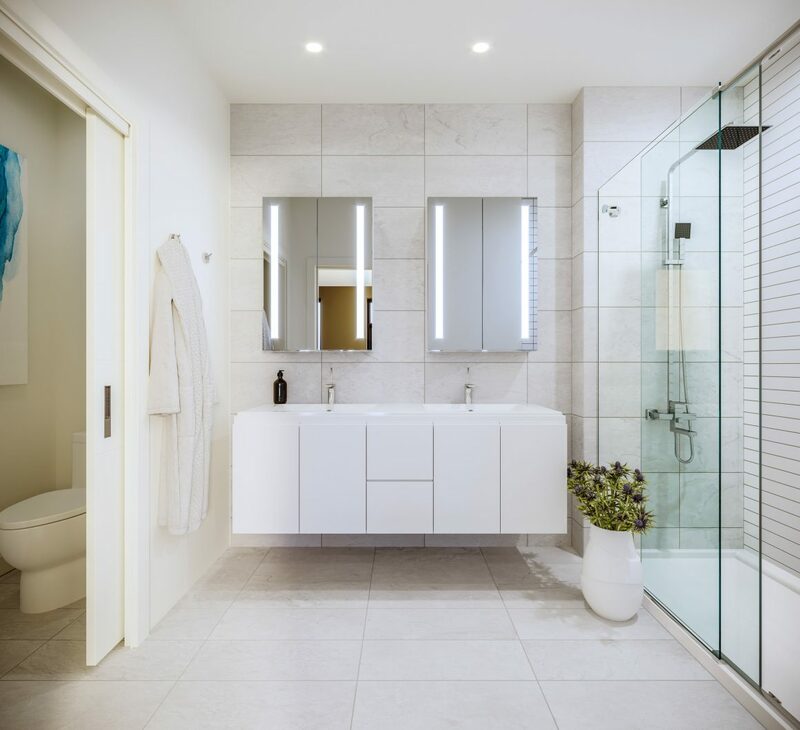 WELL certification focuses on elements that affect health and comfort in a built environment, with specific performance requirements in seven categories: air, water, nourishment, light, fitness, comfort, and mind. WELL designations are administered by the International WELL Building Institute; it works in collaboration with Green Business Certification Inc., which administers LEED certification. 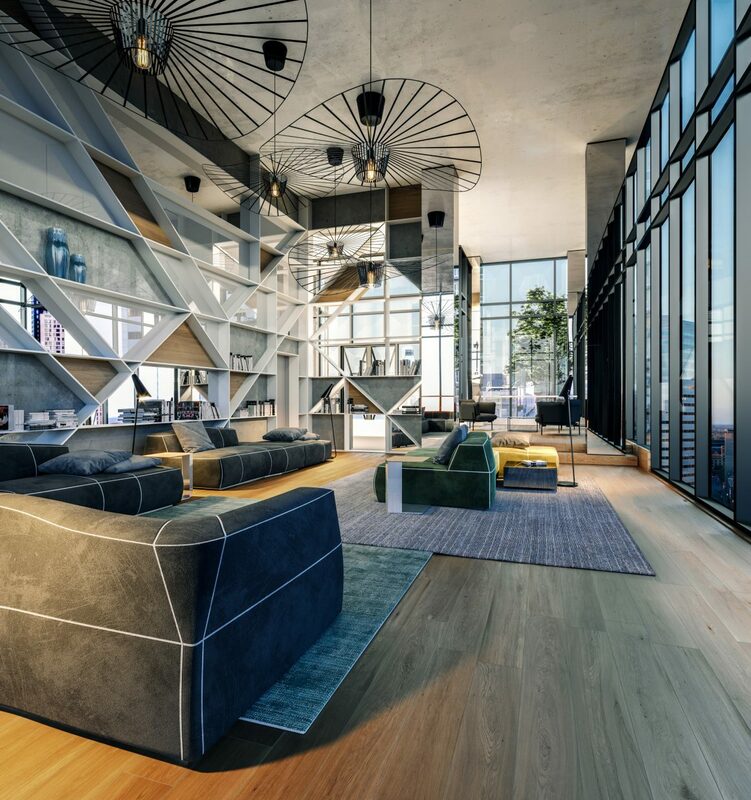 Cogir has launched its pre-sales for the complex’s condo units, which range from 400-square-foot studios to entire floors, in April, with delivery planned for spring-summer 2020.